PVL Mutant Mass and Optimum Nutrition Serious Mass are two of the most popular ultra high calories mass gainers on the market each providing over 1000 calories per serve. However, which one is the better mass gainer to help you build the size and bulk you want? Both Mutant Mass and Serious Mass contain a stack of calories per serve with plenty of macronutrients, but each also contains some extra ingredients. Let’s take a look at the key similarities and differences between the two supplements. Carbohydrates – PVL Mutant Mass has a wide variety of carbohydrate sources including Waxy Maize Starch, Maltodextrin, Fructose, Dextrose, Corn Solids and Waxy Barley Starch. 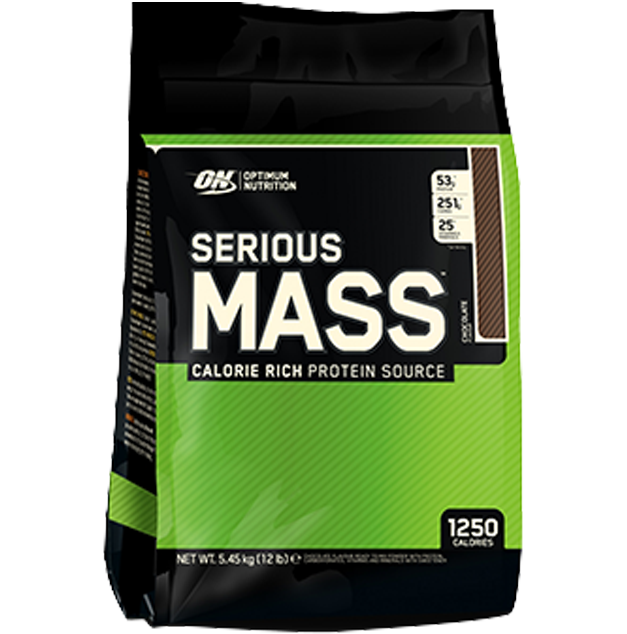 On the flipside, Optimum Nutrition’s Serious Mass only contains Maltodextrin as its primary source of carbohydrates. Protein Blend – Mutant Mass contains 8 different types of proteins encompassing both fast, medium and slower absorbing protein sources. These include whey protein concentrate, isolate and hydrolysate, milk protein concentrate and isolate, egg white albumen protein, micellar casein and calcium caseinate. Serious Mass on the other hand contains half the amount of protein sources and includes whey protein concentrate, calcium caseinate, egg albumen and sweet dairy whey. Fats – PVL Mutant Mass provides medium chain triglycerides, conjugated linoleic acids as well as mono and di-glycerides. Mutant Mass also utilises flax seed powder which are rich in omega 3 fatty acids. Optimum Nutrition’s Serious Mass only provides medium chain triglycerides as its main source of fat. Extra Ingredients – Other useful ingredients in PVL Mutant Mass include some sources of fibre, colostrum and inositol whilst Serious Mass contains a comprehensive range of vitamins and minerals. While both mass gainers provide plenty of macro and extra ingredients, it appears that PVL Mutant Mass’ formula contains a wider variety of macronutrients to help support a prolonged release pattern of nutrients and therefore aim at decreasing large fluctuations in insulin levels. Both mass gainers have a huge recommended serving size with 260g recommended for PVL Mutant Mass vs 334g for Optimum Nutrition’s Serious Mass. Because of the difference in recommended serving sizes, it’s best to compare dosing of ingredients per 100g of powder. From the above table, you can see that Mutant Mass provides more calories, proteins and fats per 100g than Serious Mass. However, Serious Mass contains more carbohydrates – which isn’t as significant as the vast majority of our energy intake is from carbohydrates. Essentially an effective mass gainer is one with plenty of calories. Mutant Mass definitely has the edge over Serious Mass with an extra 34 calories per 100g, which can over the course of 5kg provide you with an extra 1700 calories, a good proportion of your daily requirements. Mutant Mass also contains more protein which is handy, especially if it’s your only supplement and better assists you in meeting your daily protein requirements for muscle growth and hypertrophy. Mutant Mass also contains more fat, which is more energy dense than carbohydrates or protein and is a great way to add calories without increasing the volume by too much. This is beneficial as you don’t want to be drinking large amounts of liquid day in day out, which can really put you off normal eating. While vitamins and minerals are definitely handy extras, during a bulking period this isn’t as necessary as you’ll most likely be meeting your requirements through the increased intake in foods alone. The inclusion of colostrum and inositol in Mutant Mass are considered better options as ways to support improved growth, recovery and also the deposition of the carbohydrates to muscle rather than being stored as fat. Both Mutant Mass and Serious Mass are very sweet to taste, thanks to the high amount of carbohydrates in the products. They both taste nice, but the sweetness can be a bit overpowering, especially when you’re about half way through the bag. The major downside to PVL Mutant Mass is that it doesn’t have the best mixability - often forming clumps, even with substantial water. The best way to counteract this is to either mix in batches or use a bit of hot water to mix it up. Serious Mass mixes better but can still clump slightly. In terms of texture, they’re both quite smooth when mixed well, however, Mutant Mass has a slightly thicker, coarser texture thanks to the casein. Overall Optimum Nutrition’s Serious Mass tasted much better than Mutant Mass so if taste is more important to you, then Serious Mass is the best option for you. 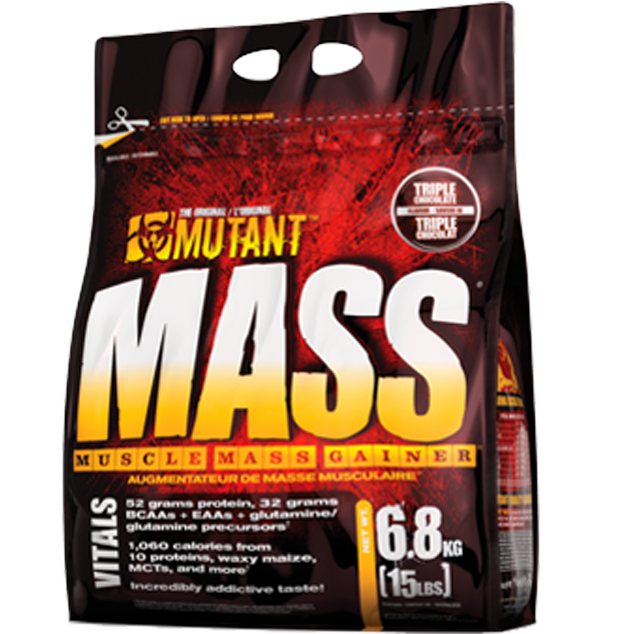 Mutant Mass is one of your more cost effective ultra high calorie mass gainers at roughly $4.73 per serve vs Serious Mass’ $6.13 per serve. With more calories and at a reduced cost PVL Mutant Mass offers much better value for money. PVL Mutant Mass and Optimum Nutrition Serious Mass are both great mass gainers. Both supplement contain a huge amount of calories, however Mutant Mass has more calories, higher protein and better additional ingredients than Serious Mass. Furthermore, Mutant Mass is one of the most cost effective weight gaining proteins around, which is important when you’re trying to get the best results without burning a hole through your wallet. While Mutant Mass doesn’t taste as good as Serious Mass, at the end of the day, you want a product that not only works but doesn’t cost you an arm and leg doing so. If your goals are to bulk up and gain weight, you can’t go past either of these two products for effectiveness, but PVL’s Mutant Mass is by far your better option.